On November 25th, I went to a movie. On December 12th, I went to another one. They are the only two movies I watched in that span of time, arguably the two best dramatic films of the year. In the time between, my Dad died. I found myself connecting to these two stories of personal tragedy, finding it hard to write about either. I contemplated just...not. I certainly need to see them both again with a clearer head. But I went ahead and did it. I needed to move on. I'm not sure there's ever been a movie quite like director Barry Jenkins' Moonlight. There have been movies about abused and neglected children. There have been movies about drug addicted parents. There have been movies about unrequited young love. There have been movies about regretful drug dealers. There have been movies about the plights of young Black men. There have been movies about repressed sexuality. There have been movies about forgiveness and forgiving yourself. Never has there been one little, low-budget film that is all of these things...perfectly. And that so many people have responded to with so much love and pride...it is just an absolute good. Like so many have said, this is the movie America needed this year. Let it win all the awards. Let the masses have it. Moonlight is the story of a young Black man in three distinct acts. In the first act, we know him as Little (Alex Hibbert), a boy of around 10, bullied by his classmates for being a little "different," hopelessly seeking connection and friendship. His single mother, Paula (Naomie Harris), seems to be trying at least a little, but she is starting to slip a bit, getting into drugs, mostly crack, and sleeping with random men for it. It is at this point that Little meets Juan (Mahershala Ali), a local drug dealer, who, along with his wife, Teresa (Janelle Monáe), takes the younger under his wing, becoming a caring, honest, much-needed father figure. In the second act, we know him by his name, Chiron (Ashton Sanders), a quiet, shy, still bullied teenager carrying around the weight of the world on his lanky frame wearing jeans that don't fit and rise above his ankles. His mother is a full-blown addict. He is as alone at home as ever, but he finds a friend at school in Kevin (Jharrel Jerome), finally someone his age to connect to, if only for a fleeting moment. Finally, we meet Black (Trevante Rhodes), a man in his late-twenties, muscle-bound, hard, a drug-dealer with a lowrider and grillz of gold, pain and sorrow in his eyes. I saw Moonlight the day after Thanksgiving, a week after I picked my Dad up from a hell he'd found himself in in Kentucky, a result of a years-long addiction to drugs. And I want to thank writer/director Barry Jenkins for one thing specifically. I found myself re-playing one particular scene. Not the beautiful "learning to swim" sequence in the first act, a scene struck by sunlight, immersive, alive. Not the shot of the year, an angry mother verbally destroying her baby from the opposite end of a sad hallway. Not the lovely moonlit night on the beach, the scene of the film's title, tender and moving. Not the at once devastating and wholly satisfying final moments, when all that came before comes alive in a few words and one glance. No. It's the one where a grown man sits across from a tortured, recovering addict, his mother, and contemplates forgiveness. It's a chair I've sat in...like Black (or Chiron)...more than once. 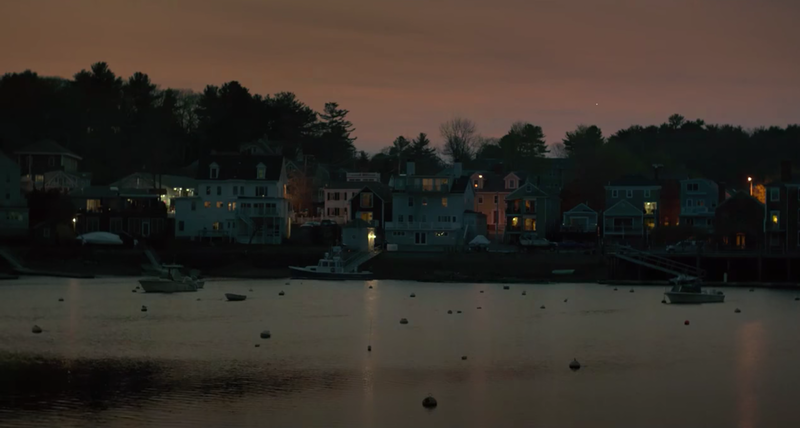 The concept of forgiveness riddles the richly-drawn characters in writer/director Kenneth Lonergan's Manchester-by-the-Sea. Casey Affleck stars as Lee Chandler, a lonely, quiet guy extracted from his solitude in Boston to the painful multitudes of his quaint, wintry New England hometown when his older brother Joe (Kyle Chandler) dies from a pre-existing heart condition. Joe's son Patrick (Lucas Hedges) needs his uncle, if only to keep up his freewheeling, over-sexed existence as a high school hockey player "with two girlfriends" and a band. Within that story is a deeper, darker one, which Lonergan builds underneath slowly, sometimes even in a seemingly disorderly way in which the audience has to find its place in time. It is here we come to understand the Lee of the past and how he blends with the Lee of the present, while we also see a small town New England, one of the most picaresque places in America, rallied by high school hockey games, pints of beer at the pub, daylong fishing trips on Joe's boat, now passed on to Patrick, all working to create an ironic sense of truth for us to connect to, a truth about all of our lives' tragedies. Within both stories is the warm, rich humor of our lives. The awkwardness of those in mourning. The candor of our closest friends and family. The desperation of a teenage boy just trying to get laid. I saw Manchester-by-the Sea a little more than a week after my father died. He had been taken to the hospital that day I picked him up in Kentucky, his condition as he sat in prison the past two years had worsened more than we had thought. I visited him in his hospital room and things felt somewhat normal. He was sober and free. Thought he might get out, but I ended up holding his hand in the ICU as he passed. But I want to thank writer/director Kenneth Lonergan for one thing specifically. I found myself realizing that people we know die and people we know have dealt with unspeakable tragedies. That the world, as I wrote in my Dad's eulogy, "punishes even the kindest among us." We don't deserve our pain, but we have to have it to live. Most of us can, some of us can't. Watching the film's key moment, the best moment between two actors this year, in which Affleck's Lee and Williams' Randi reconnect for a brief chance encounter, one seeking forgiveness, the other refusing it, I couldn't help but think about my own inability to forgive. To forgive my Dad, to forgive myself, to deal with the tragedy of my own life. There are so many parallels between our lives and the lives we become a part of at the movies. Our memories can fracture us, our pasts can haunt us. We can shift identities as we grow. We can be a young boy lost without a father at any age. We can be like Black, still struggling to form an identity well into adulthood. We can be like Lee, a man meant to be a father losing touch with his identity with each passing breath. We can be like Patrick, thinking he knows who he is and hoping he can get a ride. It's no mystery why Barry Jenkins' Moonlight and Kenneth Lonergan's Manchester-by-the-Sea are two of the most praised movies of the year. They are that because they confront the pain of life and offer us the hope that we might be able to find our way back to happiness on the other side of it. EXCELLENT review, man. I am speechless after reading this. Moonlight was excellent. It's unlike any other film I've seen before. The third & final act was so emotional & so amazing. Definitely one of the 5 best films I've seen this year. 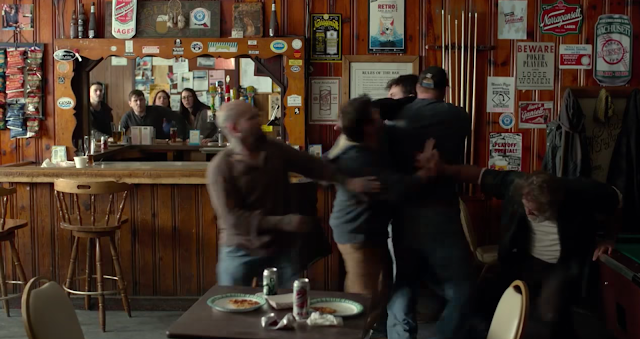 Manchester by the Sea, on the other hand, was a true masterpiece. It's one of the 3 best films I've ever seen. Everything was just so perfect. I'm struggling to describe how excellent it was, & it's a film I need to see again in the theater. That scene you mentioned with Affleck & Williams... the greatest scene I've seen this year. Like you, I can also relate to these films on their basis of personal tragedy, the pain of life, forgiveness, & the path back to happiness. There's been events in my life where I've struggled to forgive, & tried to deal with pain, but I've always been able to find my way back to happiness after it. Great review! Moonlight has been one of my favorites of the year but I wasn't a fan of Manchester by the Sea. I didn't want Moonlight to end though, I almost screamed "noooo!" at the theater screen. Thanks. 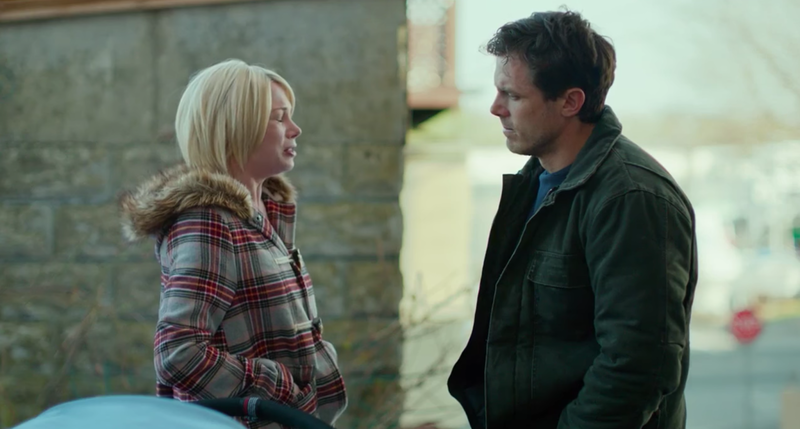 Manchester by the Sea is easily the more relatable film for me. Moonlight is absolutely beautiful though. Spectacular review and reflection.I'm deeply sorry that you lost your father, and for all the turmoil you endured in your relationship. I can definitely see how both movies were significant to you. Moonlight is my favorite; I actually felt like Manchester had a much weaker pulse, and I actually didn't care for it. Thank you, Courtney. Manchester is pure pain with GREAT touches of humor. I found it wholly relatable in those ways. Although I have not seen Moonlight, I feel that both of these movies make me think of the consequences of actions. We might not think the effect is big or even immediate, but something normally happens.